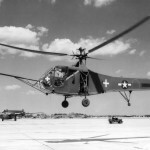 SciTech Tuesday: Sikorsky and the helicopter. On 14 January 1942 Sikorsky Aircraft successfully flew for the first time the contraption later called the YR-4 (or the Hoverfly in England). 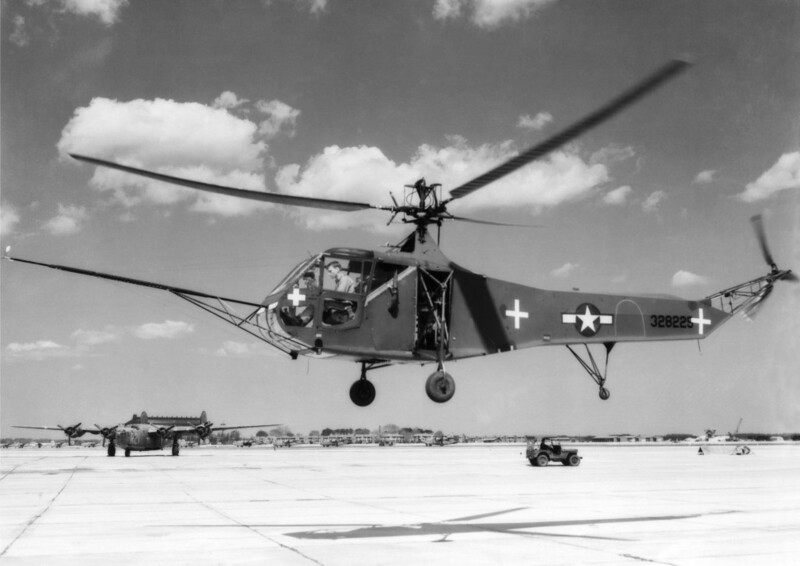 This rotary winged craft became the first mass-produced helicopter. 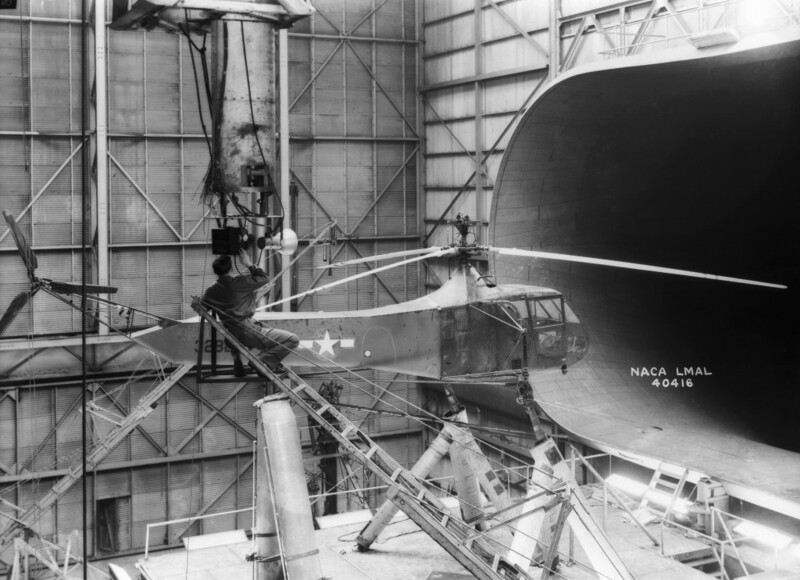 In a test flight it went from the company’s Connecticut headquarters to Wright Air Field in Ohio (over 700 miles) with a ceiling of 12,000 feet and a top speed of 90 mph. 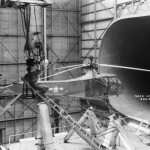 Within a year the US Army Air Force and the Royal Navy were testing prototypes. 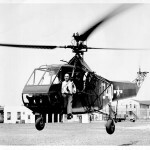 After the engine capacity was increased (to 165 hp) and stability improved by increasing the rotor length and displacement of the tail rotor, the helicopter went to training and field testing. The first mission in which the YR-4 was used was a combat rescue mission in the China=Burma theater in April of 1943. Throughout the war it was used primarily for rescue missions. 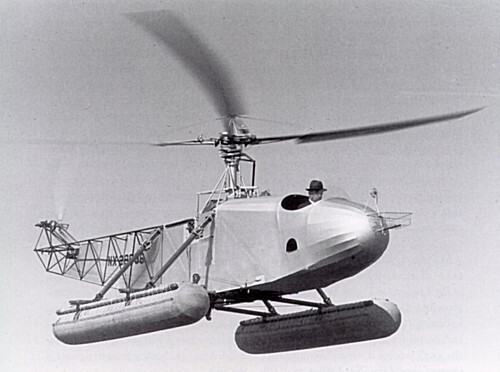 Igor Sikorsky, who designed this craft, was a Russian immigrant born in Ukraine in 1889. His story is one that reflects many from the time, and resonates today. 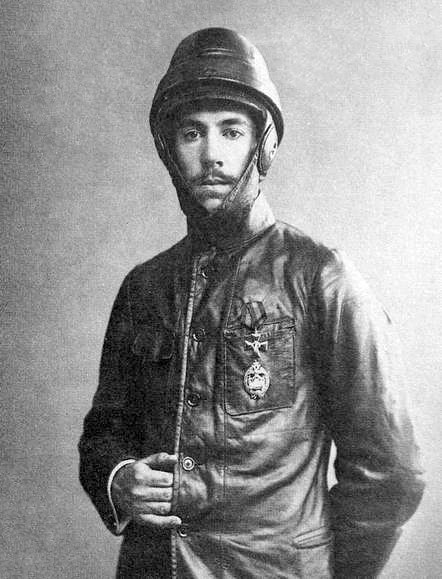 He studied engineering in Paris and Kiev, and established a successful company building aircraft, including bombers for Russian forces in WWI. 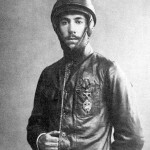 He briefly worked for the French forces in Russia as an engineer, but believing the October Revolution to threaten both his career and life, he emigrated to the US in 1919. He worked as a school teacher in NY until he obtained a position on the engineering faculty at the University of Rhode Island in 1933. 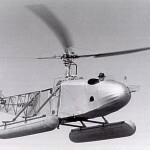 In 1923, with backing from Russian expats like Rachmaninov, he formed the Sikorsky Manufacturing Company and built the one of the first dual-engined planes in the US. This plane, the S-29, carried 14 passengers and could fly at 115mph. His company was acquired by United Aircraft and Transport Company (today’s United Technologies Corporation) in 1929, and he helped them make the boat-planes that Pan-Am used for its cross-Atlantic routes. He married in 1924 and became a naturalized citizen in 1928. He lived until 1972. Always a devout Russian Orthodox Christian, he authored 3 books, one about his helicopters, and two about theology. 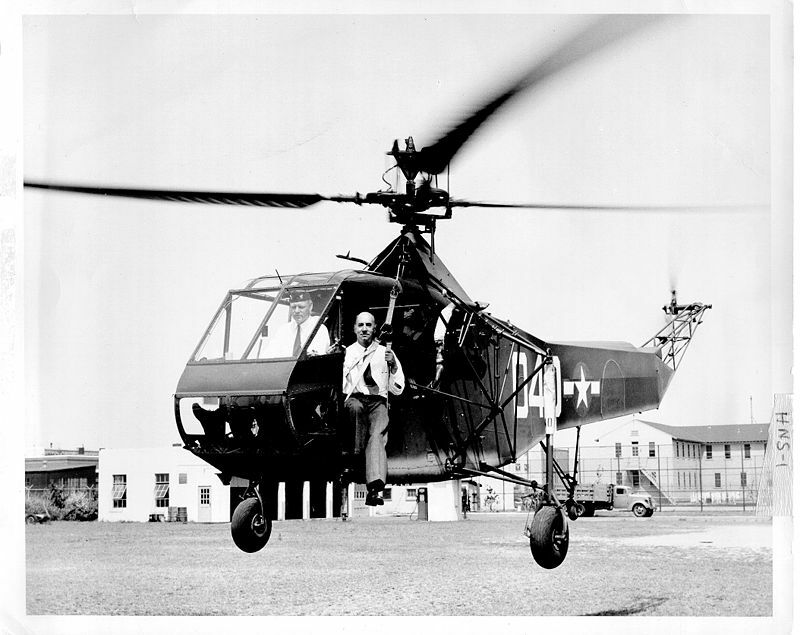 This is Sikorsky's first successful helicopter design, which he developed into the YR-4. That is Sikorsky, sitting in the doorway of one of his YR-4 helicopters.